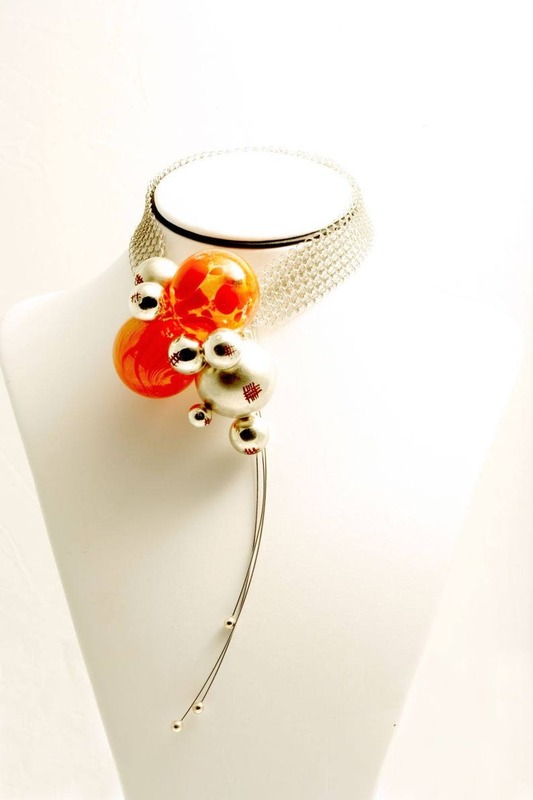 Sterling silver necklace (925) with silver and glass balls. Custom made. This piece is made entirely by hand, she required 5 research of design and manufacture minimum 8. Reproduction of this same piece, will never an identical replica giving birth to unique every time. Its implementation making according to your size and your request, it requires a few days for production before delivery. Thank you for understanding! Ring silver reticulated with two small broken mirrors "Silver Breeze"
Silver earrings, hammered round "Issey water"